We are GSM Cutter Manufacturer in Delhi, the Capital of India. We are one of the leading GSM Cutter manufacturer of high-quality GSM Cutter, these GSM Cutter are used to determine grams per square meter of any Fabric, Paper and Board. 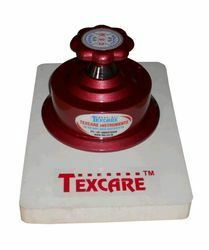 We are the only largest GSM Cutter manufacturer in India supplying bulk quantity to all over India and abroad. We are regularly supplying GSM Round Cutter to USA, U.K., Canada,Philippines, Dubai,Afghanistan, Russia, France, Sri Lanka, Israel, Bangladesh, Nepal, New Zealand, Turkey, South Africa and Australia. We are one of the leading manufacturer of Digital GSM Scale. This machine used to determine accurate GSM of any Paper, Fabric, laminated film, Leather and board. 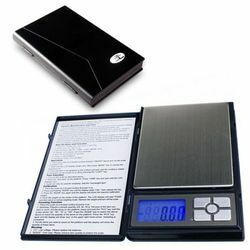 This Digital GSM Scale has inbuilt battery backup of more than 24 Hrs, battery charger and acrylic wind sealed. This Digital GSM Scale can be operate and GSM Mode and Gram mode by using selectable key. Pocket GSM Scale (Note Book Type) is small in size, a handy product and can carry easily, Operated by inbuilt AAA size battery. Pocket GSM Scale is slim and portable. Grammage Checking Machines are used to determine GSM (Grams per square meter) of any Paper, Board, Woven or Knitted Fabric, Felt, Film, and other sheet material. These Grammage Checking Machines are having following accessories. 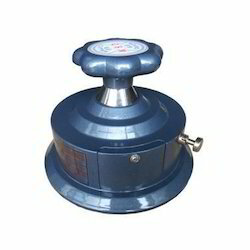 GSM Weighing Balance is highly demanded in Paper Industry and Textile Industry. 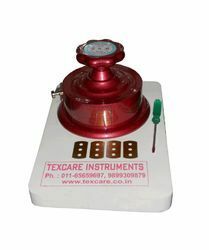 In this GSM Weighing Balance there's an inbuilt software to display direct GSM of any paper, fabric, board and film. 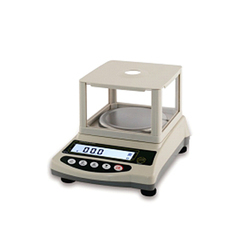 GSM Weighing Balance is having following features. Fabric GSM Cutter main body is completely made of aluminum casting for light weight & resilience with Diamond studded locking (Catch Lock) mechanism for safety. This Fabric GSM Cutter is equipped with a set of four replaceable German reversible blades i.e. all the four sides of the blades can be used. Four specially designed standard grey-cutting pads provided to support the cutting operation. The Fabric GSM Cutter is meticulously finished with metallic paint. 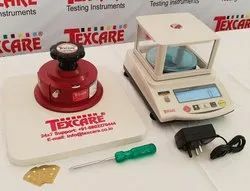 Fabric GSM Cutter is recommended for yield testing i.e. weight per unit area. It cuts rapidly and accurately circular specimen of 100 cm square area which gives the GSM directly. 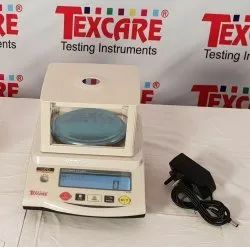 This Fabric GSM Cutter is used as Textile Testing Instruments. Pad 2 Nos. Special Quality Rubber Pads. Our GSM Round Shaped Cutter for GSM, cuts sample accurately each and every time and provide no variations.